Many people hurriedly drive through Northumberland on their way to or from Scotland. They don’t know what they’re missing. Despite being one of the most beautiful and unspoilt corners of England, it is curiously far less known and visited than destinations like the Lakes and Yorkshire. 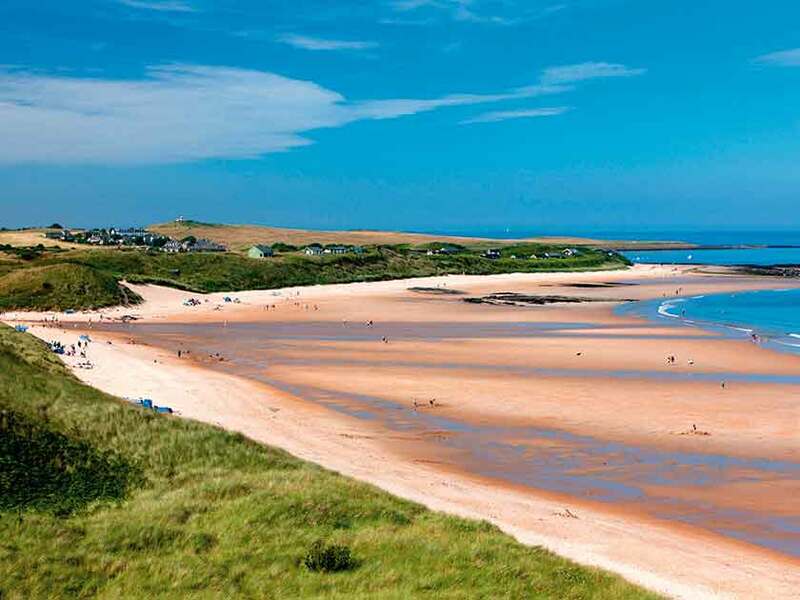 Bordered by Scotland to the north and the North Pennines to the south, inland Northumberland is characterised by rolling moorland, forests and ancient village settlements, while the wonderful coast offers the classic ingredients of an old-fashioned seaside holiday. Peppered with dramatic castles and attractive towns and villages, the county has something for everyone, from fish and chip shops and friendly pubs to boat trips and excellent birdwatching. The wild beaches are outstanding and a designated Area of Outstanding Natural Beauty. The coastal walk from Craster to Low Newton-by-the-Sea is particularly popular, and with good reason. It passes near the stunning medieval ruin of Dunstanburgh Castle, typically with birdlife like eider duck for company near Craster, and oystercatchers on the sands. At Low Newton-by-the-Sea, you can enjoy delicious fresh crab sandwiches at the excellent Ship Inn, which nestles in a square of former fishermen’s cottages. Windsurfers, waterskiers and divers should head for Beadnell beach, or if you want some solitude, go to Cheswick beach. Indeed, those in search of tranquillity will find it easily in Northumberland: its National Park, for example, has a tiny population of only 2,000 people occupying 400 square miles. About 70% of the park consists of wide-open moorland, black heather moors and white grassy land, with a rich variety of wildlife that includes otters, skylarks and red squirrels. 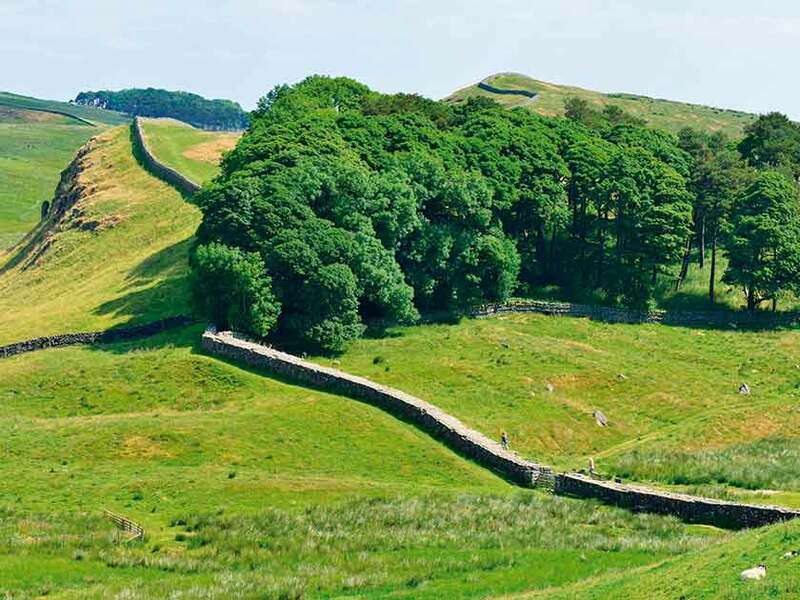 It’s a magnet for everyone from rock climbers to mountain bikers, cyclists, hikers and horseriders, and trails include the Hadrian’s Wall Path. You can take a boat from the harbour at Seahouses to the Farne Islands, around two to five miles from the mainland. Depending on the state of the tide, you’ll find between 15 and 20 islands, housing exceptional seabird colonies of 23 species, including around 37,000 pairs of puffins. At the height of the breeding season, the islands offer one of the finest wildlife experiences in the world, with typically more than 150,000 seabirds present. There’s a large grey seal colony, a medieval fortified watchtower, a Victorian lighthouse, visitor centre and easy-access boardwalk. It’s ideal for a day out with a picnic. Another fantastic excursion is to the Holy Island of Lindisfarne, reached by crossing the dramatic causeway to the island by car or by foot. Be sure to check the tide times carefully to ensure a safe crossing, as the causeway vanishes in minutes. The island’s castle, which sits atop a volcanic mound known as Beblowe Craig, can be visited, as can the priory, the epicentre of Christianity in Anglo Saxon times. The pretty harbour, lined by upturned fishing boats, makes a delightful stroll. There’s a visitor centre and glorious beaches – a photographer’s dream. Together, tidal mudflats, salt marshes and dunes form the Lindisfarne National Nature Reserve, and shelter a large array of rare plants and wildlife – including common and grey seals often sunning themselves on the sands. Birdlife includes pale-bellied brent, pink-footed and greylag geese, wigeon and grey plovers. After a break in this stunningly beautiful corner of England, steeped in history and packed with so much to do, you will truly never overlook this magical county ever again. Accommodation is often better value in Northumberland than more popular UK holiday destinations. Northumbrian Cottages (01228 406 721; northumbrian-cottages.info), for example, has a good selection of options at all budgets. I was based in The Beach Pad (0191 285 1272; coastalretreats.co.uk), a stylish ground-floor apartment from Coastal Retreats on the Seahouses seafront. Sleeping two (from £465 for a short break and £535 for seven nights) and boasting a spotless, contemporary interior and view of the Farne Islands, it’s a perfect base for bracing walks and cycle rides among the rolling dunes along the beach that leads to Bamburgh Castle, an imposing Victorian castle, whose site history stretches back to prehistoric times. Sleepy Seahouses has a working lifeboat you can visit and a handful of shops, good chippies and cafes, but, for me, the highlight is the cosy public bar of the Olde Ship Inn. Inside, it’s everything you’d want from a traditional British pub, decked out with nautical knick-knacks and home to a thriving hub of cheery locals of all ages. 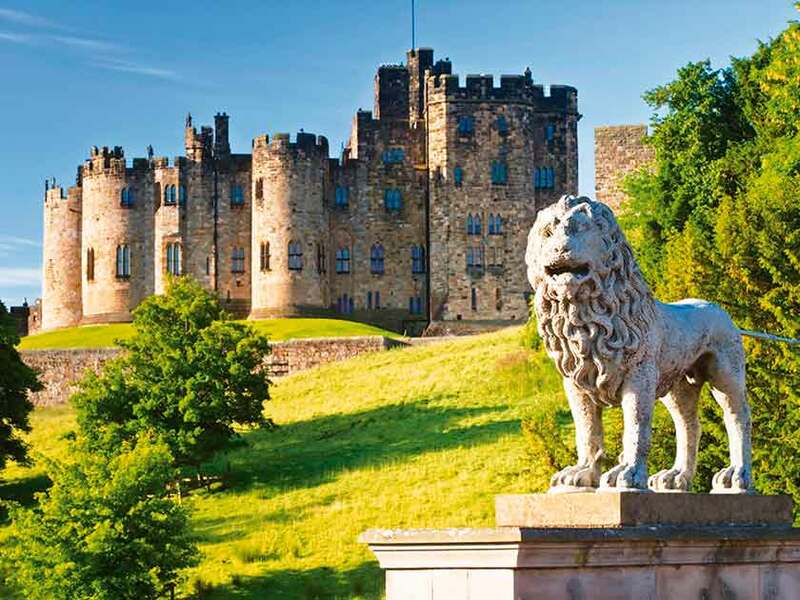 Alnwick Castle (01665 511 100; alnwickcastle.com) will thrill youngsters for having featured as Hogwarts in the first two Harry Potter films. It’s also appeared in Downton Abbey (there’s an exhibition about it) and there are splendid staterooms and artworks, plus children can join in a recreation of medieval life. Don’t miss the extraordinary new garden, which includes an enormous treehouse. There’s possibly no more delightful second-hand bookshop in the British Isles than eccentric Barter Books (01665 604 888; barterbooks.co.uk) in Alnwick. Housed in the historic town’s old Victorian train station, it has open fires in winter, a cafe, cosy armchairs to browse the huge book selection, and even a working model railway whizzing around above your head.